At the heart of the antiperspirant, fears lie aluminum. The active ingredient in antiperspirant is an aluminum-based compound that plugs sweat ducts and prevents perspiration.This, coupled with deodorant, which, as the name suggests, prevents unpleasant odor, along with a few inactive ingredients constitute your typical antiperspirant. Links between antiperspirants and breast cancer are built on a theory that because antiperspirants are applied to the armpit, adjacent to the area at which most breast cancers develop, the chemicals, namely aluminum, can be absorbed into the skin, especially if there is an open cut from shaving. The theory suggests that the chemicals will interact with DNA or interfere with estrogen activity, influencing the growth of breast cancer cells. Experts say the claims have little or no support. According to Ted S. Gansler, MD, and director of medical content for the American Cancer Society, “There is no convincing evidence that antiperspirant or deodorant use increases cancer risk.” He suggests the studies were flawed, and though a few found that chemicals from antiperspirant may have been detected in breast tissue, there was no proof that these had any bearing on cancer risk. In fact, a trusted survey comparing breast cancer survivors with healthy women found no association between antiperspirants and risk of cancer. The concerns about the effect of antiperspirants on the kidneys began when dialysis patients were prescribed aluminum hydroxide to control phosphorous level in their blood. Because of poor kidney function, their bodies were unable to remove the aluminum quickly enough and it began to accumulate. Scientist found that the patients with the high aluminum levels were more likely to develop dementia. It seems that most professionals agree that, while we would like to find an easy explanation for diseases like breast cancer and Alzheimer’s, antiperspirants are not the solution. Snyder adds, “Part of the reason that the discussion about aluminum and Alzheimer’s disease continues to be a topic is Alzheimer’s is a devastating disease, and people want to know why their relative has this disease, and they want an easy answer.” Maybe antiperspirants are still our friends. What do you think? Antiperspirant, friend or foe? Let us know your comments and thoughts! So you go to your favorite juice joint and order your lunchtime smoothie? What do you put in it? Almond milk, coconut milk, carrot juice, ginger? What about potato juice? “Potato juice,” you say, “is that even a thing?” And if it is, do you want it? After all, aren’t potatoes full of starch and carbohydrates? Last you heard, the only thing potatoes were good for is making fries, chips, and vodka. Well, prepare to have your mind blown! Potato juice has a long history of being used as a remedy for everything from skin disorders to inflammation to cancer and is an excellent source of vitamins and nutrients. Have a look at the endless benefits for yourself. If dark circles under the eyes are one of your pet peeves, here’s potato juice to the rescue. Just soak some cotton balls in spud juice and place them under your eyes before you go to sleep. In a week, the dark circles should be things of the past. Applying a face mask made with potato juice and curd is a great way to reduce fine lines and hydrate skin. Mix potato juice with olive oil to help eliminate dark circles and crow’s feet. The anti-inflammatory properties in potato juice is an effective acne treatment. Apply directly to blemishes for best results. Angular cheilitis is a skin disorder which causes swelling and redness of the corners of the mouth. Potato juice is an anti-inflammatory that can help tone down lesions when applied to the affected area. Potato juice also contains vitamin B complex which can prevent vitamin B deficiency associated with this condition. Drinking potato juice can also be used to treat eczema, another common skin disorder. If you want to speed up hair growth, mix potato juice with egg white and honey. Apply to hair and let it sit for two hours before rinsing with a mild shampoo and water. A combination of aloe vera and potato juice can restore the moisture to dry, fly-away hair. Use potato juice to rinse shampoo from your hair instead of water to darken gray hair and give it a radiant glow. Another benefit of spud juice is its ability to flush toxins from the body. Toxin overload can break down the immune system. Drinking potato juice can ward off health problems caused by bacterial and fungal infection by detoxifying and boosting immune resistance. Potato juice’s ability to perform as an anti-inflammatory makes it a great remedy for gout, back pain, joint pain, and arthritis. Drink it before breakfast in the morning for optimal effect. Drink it twice daily to help you slim down–once in the morning on an empty stomach and again two or three hours before you hit the hay. Drink potato juice on a regular basis to improve digestion and thwart constipation, bloating, diarrhea, and indigestion. It is also known to have positive effects for those who suffer from GERD and can be used to treat peptic ulcers when combined with carrot juice. What do you know about potato juice? Let us know how you get the most out of your spuds! Aromatherapy is a practice which uses plant based oils to treat infections, stress, and tight muscles. Although many believe that aromatherapy applies only to inhaling the oils, massaging the oils into the skin figure strongly into the treatments as well. Here are some of the best anti-aging essential oils. 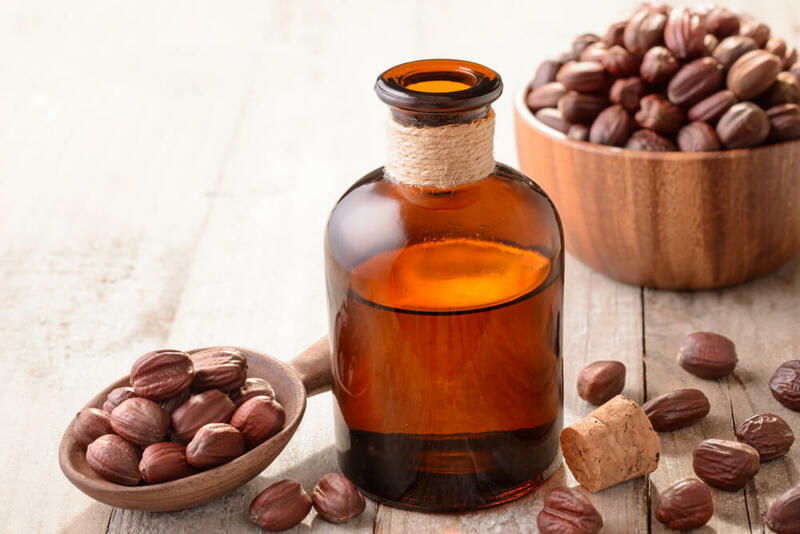 Not only does jojoba oil contain vitamin E, vitamin B complex, silicon, chromium, copper and zinc, it can also supplement the lack of iodine in your diet. With an 82% content of the mineral, jojoba oil gets a good part of its healing power from iodine. Jojoba oil is probably one of the world’s most hydrating oils and it is noncomedogeic, which means it does not clog pores. Its antioxidant properties can soothe fine lines and wrinkles and slow down the aging process. A study done by the Department of Environment and Life Sciences in Italy proved that jojoba oil speeds the closure of wounds and stimulates collagen syntheses with low toxic effects, while another study in Germany found it improved overall skin condition in 194 participants who applied clay masks with jojoba oil two to three times a week. Pomegranates have been noted for their association with anti aging with their oil being the most potent source. The dark red color of pomegranates are caused by biflavonoids which protect skin from sun damage. Pomegranate seed oil has a natural SPF that can be used as a natural sunblock and can be applied directly to your skin. So much for witchery, this oil even found its way into the Bible! Frankincense is good for balancing uneven skin tone and can help get rid of sunspots and age spots. It is also a powerful astringent, so it can be used for acne blemishes, and to minimize the appearance of enlarged pores and wrinkles. Frankincense can also be used to combat sagging skin on the stomach, jowls or under the eyes and has been shown to be effective on stretch marks and surgery scars. Lavender is one of the best oils for getting skin into a healing state and improving cellular communication. This makes it an excellent essential oil in relieving cuts and burns. Lavender also helps your body to produce three of the most powerful antioxidants: gluthione, catalase and superoxide dismutase to fight radical damage. Mix it with aloe vera or coconut oil to soothe sunburn and promote healing, or mix with frankincense to reduce age spots. So get on your broomsticks, get out your spells and potions and embrace your inner witch. Let us know about all that you’ve got brewing up for this holiday season and whether these luxurious oils are a part of them! Because our eyes are so inspirational and so useful at the same time, many of us would agree that we need to take special care in maintaining them. Let’s look at some of the ways in which we can keep out eyes healthy. Maybe we should call this section ‘see food.’ (joke) When it comes to protecting the eyes, nutrients like lutein, zinc, Vitamins C and e and omega-3 fatty acids are at the top of the list for avoiding vision problems related to age, such as cataracts and macular degeneration. Next time you’re at the supermarket, load up on oily fish, like salmon and tuna, meatless proteins like nuts, beans,and eggs, citrus fruits, oysters, pork and leafy greens. Smoking increases your risk of developing cataracts, macular degeneration, and damage to the optic nerve. Don’t quit trying to quit. The more attempts you make, the higher your likelihood of success. Keep rocking’ those shades. They look great and they block UV rays which can make you a candidate for cataracts and macular degeneration. Look for a pair that blocks 99-100 percent of UVA and UVB rays. Wraparounds (favored by Jon Bon Jovi, circa 1990) will also shade your peripheral vision and polarized lenses reduce sun glare when driving. While the Siren’s call of social media may be hard to resist, staring at computer screens for extended amounts of time can cause blurry vision, trouble focusing, eyestrain, headaches, dry eyes and neck, shoulder and back pain. If you wear glasses or protective lenses, make sure your prescription is not out of date and effective for computer use. You may need a special prescription to help with glare, eye strain and contrast. For the least amount of eye discomfort, make sure your computer is positioned so that the top of your monitor is at level with your eyes, allowing your to look slightly down at the screen. Avoid glare on your screen from windows and lights and invest in an anti-glare screen if needed. When it comes to eye care, this is the man. Eye exams can provide early detection of eye diseases like glaucoma, which has no symptoms. Vision tests can also test for nearsightedness and farsightedness, astigmatism and age-related vision changes, or presbyopia. Make sure to talk about medical history and mention anything you think may be worrying or relevant. You come home after a long day. Your daughter has just broken her brother’s gaming console and she is threatening to smash his cell phone over his head. Your husband is asleep in your room, the dishes haven’t been done and the tv and air conditioning are both on. You collapse on the sofa, sure that your family is going to be responsible for your premature death and possible loss of sanity. But, according to some studies, the opposite is more likely. More good reasons to get hitched! A recent study at NYU’s Langone Medical Center found that women and men who were married had a 5% decreased chance of getting cardiovascular disease than their single peers. Doctors speculate that the emotional support offered in marriage may lead to lower blood pressure. Robin Simon, sociology professor at Wake Forest University, says that, “hundreds of studies document a robust relationship between marriage and improved mental health.” He goes on to point out that marrieds report being less depressed and are less likely to participate in substance abuse. Having a family seems to be a motivating factor in living a long life. Husbands especially, fare better in the life span department than bachelors. They have a smaller chance of death by suicide and, thanks to their wife’s attentions, are more likely to get check- ups, stop drinking, and take medications. In case reading this article has made put you in mind of “Bridget Jones’ Diary” and her descriptions of the “smug marrieds,” listen to this. Marriage isn’t all that glamorous. Married people are more likely to suffer from obesity that bachelors and bachelorettes. A study found that single people exercise more than married people and married men were 25% more likely to be overweight. Talk about, “letting yourself go!” So before you run to the altar and toss out the birth control, remember, people in bad marriages are more prone to bad heart and mental health than those in good marriages. As for the heart and mental health, exercise and eating right will keep your heart in shape and an active social life will keep you happy and balanced. Quality of life takes precedence over all. You have just finished working out at the gym and you feel like crawling home. It must have been somewhere between the 50th and 51st set of squats when your muscles just gave out. Your legs feel like jello. You decide that some relief is definitely in order if you have any chance of getting to your car and driving home without requiring medical attention. You spot the sauna. “This is just the thing,” you think. I will sit in here, let my muscles relax a little and I will feel like a new person!” Then you spot the steam room. Could this be a better option? You try and think. What have you heard about them? You can’t remember which one is which and think that in your condition it may just be a matter of which one is closer. Well, just so you are prepared for when this happens to you, here’s the breakdown. The basic difference between saunas and steam baths is that steam baths use moist heat, while saunas offer dry heat. Both are hot baths which stimulate blood flow, easing pain and promoting healthy metabolism. Saunas are a good deal hotter than steam rooms with the set temperature at somewhere between 160 and 200 degrees Fahrenheit, and a humidity level between 5 and 30% In other words, it’s a dry heat. Steam rooms measure somewhere between 110 and 120 degrees but the 100% humidity will make it feel much higher. Heat rises in both saunas and steam rooms, so the higher you sit, the hotter you will be. Wet and dry heat have a sedative effect which can provide relaxation to those suffering emotional disorder and pain relief to those suffering from a muscular injury. Have you ever gotten on a slide in the hot weather as a child? Perhaps, then you understand why saunas are built of wood and not metal. In addition, wood absorbs moisture, keeping surfaces cooler and pulling humidity from the air. 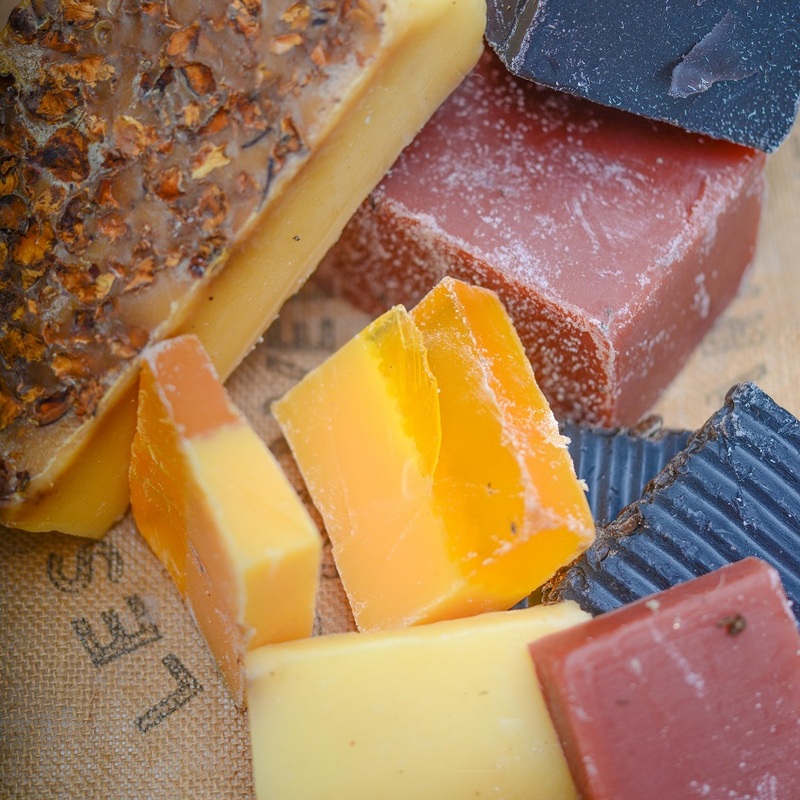 In steam rooms, high humidity would cause wood to deteriorate and are therefore made of tile or plastic. They feature sloped ceilings which allow the water to run down the wall rather than drip on your head. Both steam rooms and sauna reduce muscle tension and promote relaxation. They improve circulation and cause occupants to perspire, opening the pores and cleansing the skin, The humidity of the steam rooms may be more comfortable for people suffering from allergies and congestion, whereas those with conditions that may be aggravated by humidity, like arthritis, may opt for the sauna. One advantage that a steam room may have over a sauna is the expectorant effect. Wet heat opens the sinuses throat and lungs and can loosen and clear the mucus in your nose, chest, and throat. However, it can also aggravate asthma, which would make a sauna a better choice for asthmatics. You may have heard that both of these baths may remove toxins from the body and help you lose weight. There is no evidence to support that either removes any toxic chemicals from your body and any weight loss will be temporary, resulting from water weight lost from sweating, so hanging out in the sauna or steam room will not make you svelte, which is why you still have the gym. So which way do you stagger? To the dry or to the wet? The choice is yours, just pick one soon! As we age, our skin changes drastically. Skin is a reflection of what is going on inside our bodies. When we eat well, it shows in the skin. The skin also betrays when we eat poorly. Our skin reflects when we are stressed, tired, happy, and angry. 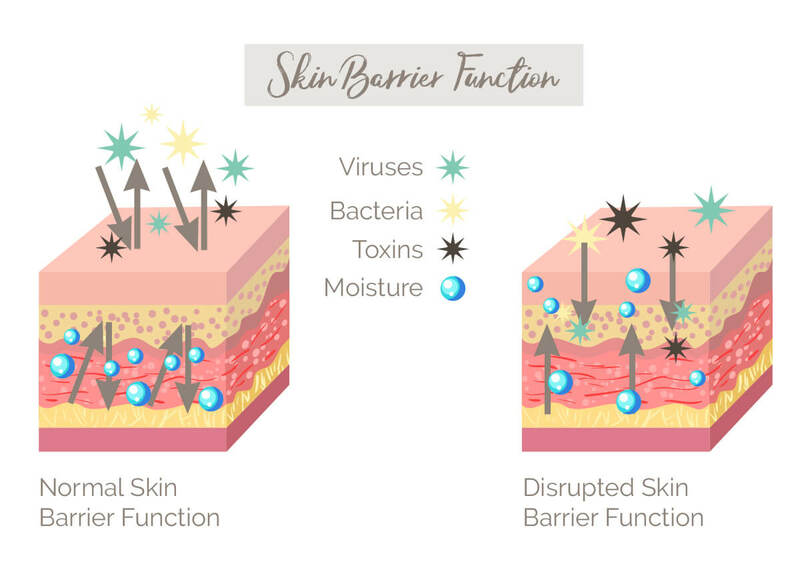 It’s no surprise that our skin will also change when we get older, even though they are definitely not always welcome changes. What happens to your skin at 40? Your estrogen levels are heading down. You may be experiencing a slower metabolism and more fatigue. How does your skin reflect this? The collagen that keeps your skin firm is starting to break down. Your skin is also losing hyaluronic acid, which helps maintain the skin’s elasticity, giving the skin that bouncy, youthful appearance. Taking a low dose of estrogen can help keep your estrogen levels from dropping too drastically, so these changes won’t happen quite so suddenly. This can make them more manageable. Adding a product with hyaluronic acid will help your skin maintain its elasticity and hydration. Using a retinol will increase the cell turnover of your skin. This will keep your skin looking fresh and bright- just make sure you are using a good exfoliator because retinol will create dead skin cells to exfoliate away and uncover younger-looking skin. What happens to your skin at 50? Most women experience menopause during their 50’s. This means their estrogen production has slowed or stopped. Your skin can lose up to 30% of its collagen in the first few years of menopause. Skin will lose a lot of its elasticity, and be much more prone to dryness. Wrinkles will deepen as your skin loses collagen. Hormone therapy (if your doctor approves) can help your skin hold on to more of its collagen. Keep using retinol creams and firming eye creams to slow the loosening of the skin, especially around the eyes. Switch to a rich night cream to combat dryness. What happens to your skin at 60? As you age, your body becomes more susceptible to illness. Your immune system isn’t as strong, and things like smoking and drinking start to have a more negative effect. Your skin is drying out and thinning, so it is much more sensitive to sun damage, heat rash, damage from smoking, and other environmental factors. Wrinkles can deepen, and collagen breaks down further. Keep using your rich night creams and retinol. Protect the skin around your eyes- it is your thinnest skin. Be careful to wear sunscreen and shield your skin from the sun as much as possible. Most importantly, don’t worry about it! If you care for your body and your skin, you will age beautifully. There are all kinds of little things you can do to prevent premature aging. Follow these types to keep you skin looking younger, longer! Making sure you cleanse your skin appropriately plays a huge role in maintaining the skin’s youthful appearance. Dirt, makeup, and bacteria can clog pores and cause blackheads and uneven skin tone. It is important to cleanse your skin and remove makeup before bed. Sleeping in makeup can really add years to your skin. You should also always cleanse your skin after you work out, so sweat doesn’t sit on your skin causing it to dry out and breakout. There are many reasons not to smoke, but if you are looking for one more to add to the list, smoking also ages your skin. Smoking causes wrinkles and dulls the skin. Dewy, bright skin is youthful looking, and smoking causes it to take on a sallow tone. If you live in a dry or extremely hot area, keeping your skin hydrated will help preserve its youth. Using thick night creams or overnight masks to replenish your skin overnight can help combat dryness. 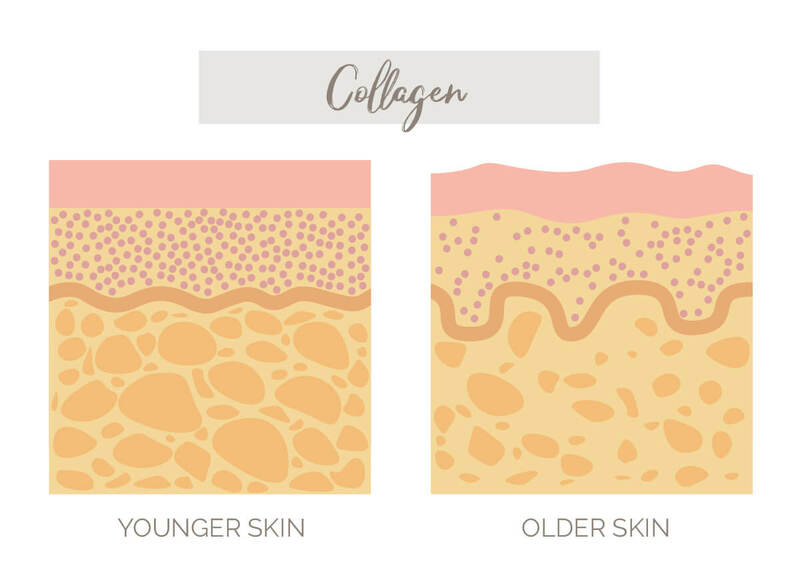 Looking for products with collagen and hyaluronic acid will replace what your skin losing as you age, keeping it looking young. Alcohol takes a huge toll on your skin. Drinking dehydrates your skin, and can deprive it of nutrients it needs. The sun causes age faster and more easily than any other environmental factor. It dries out your skin very quickly, and if you are at the pool or the beach, it may be several hours before you can moisturize and rehydrate. 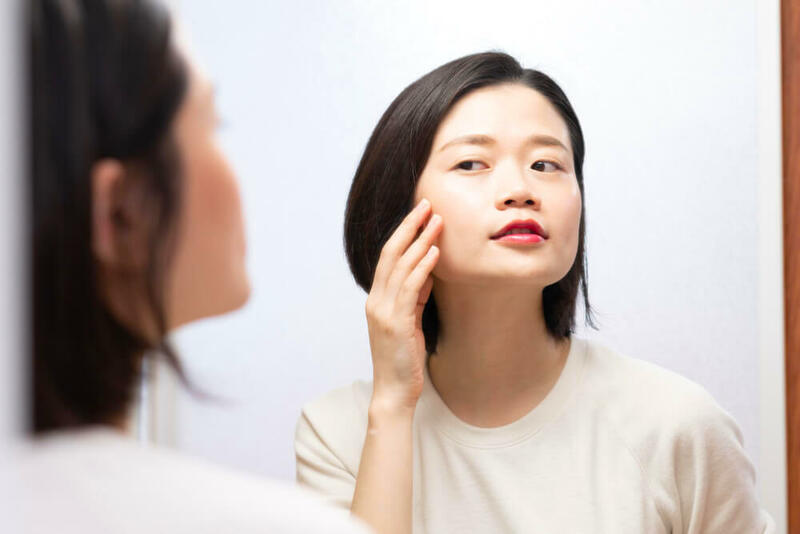 Sun spots and liver spots can also form on the face or hands, and they tend to be a dead giveaway when it comes to age. Make sure you wear sunscreen every single day- yes, even during the winter and on cloudy days. Buy a sunscreen with SPF 30 or higher that is non-comedogenic and non-irritating. It also doesn’t hurt to pair your moisturizer with a foundation that also has sun protection. Wearing a hat when you know you are going to be out in the sun for an extended period of time is also a good idea. Sun damage can result in wrinkles and hyperpigmentation, which can age your skin immensely. Too much sun can also cause skin cancer, so protect your skin! Basically, you should listen to what your mother told you to protect your skin from aging. You should also be taking preventative measures in your twenties to try to maintain youthful looking skin. Using an eye cream is a great way to prevent wrinkles from forming. The thin skin around your eyes could use the extra care. Using a retinol cream can also help prevent signs of aging and keep your skin looking young. Whatever measures you take to prevent aging, don’t forget the sunscreen!